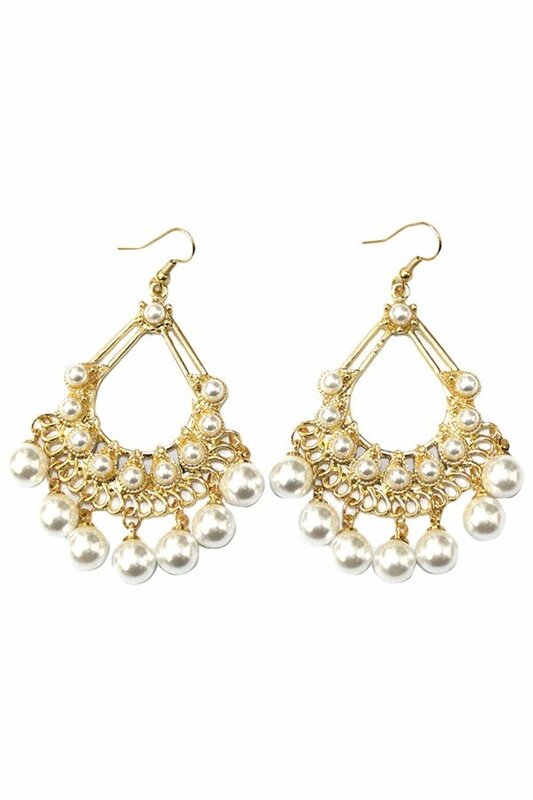 Description: Chandelier drop earrings with dangling pearls. Approx. length 3".